Let's face it, nonstick pans require replacement every few years. 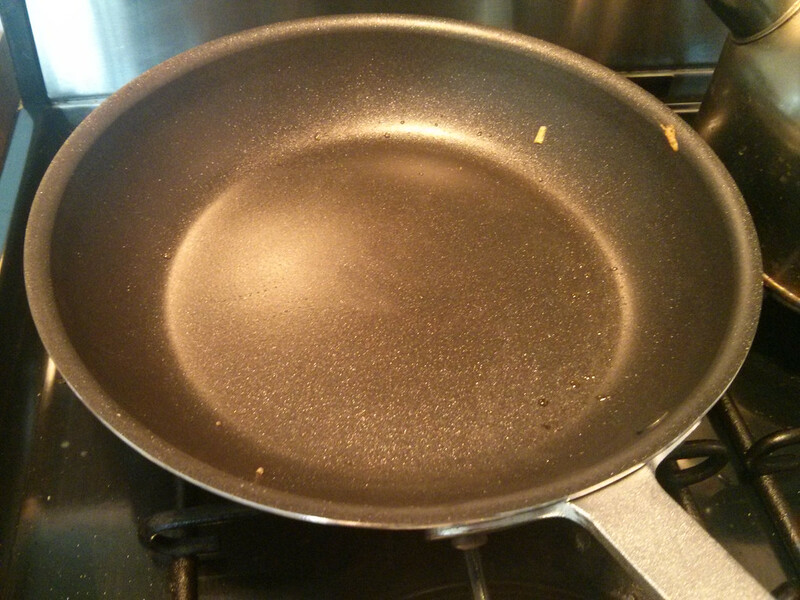 No matter how good the pan is, the Teflon coating eventually becomes damaged and then it's just an aluminum pan. For that reason, it never pays to spend too much on a nonstick pan. On the other hand, I want something which will last a little longer and will stand up to my sometimes abusive cooking. Enter Vollrath. We were introduced to Vollrath nonstick cookware by a huckster at the Alameda County Fair. It's restaurant industry cookware, which is generally a good bet for value-for-dollar, and also for sturdiness. All-Clad is nice and well-made, but let's face it, you're paying a hefty premium for the pretty. 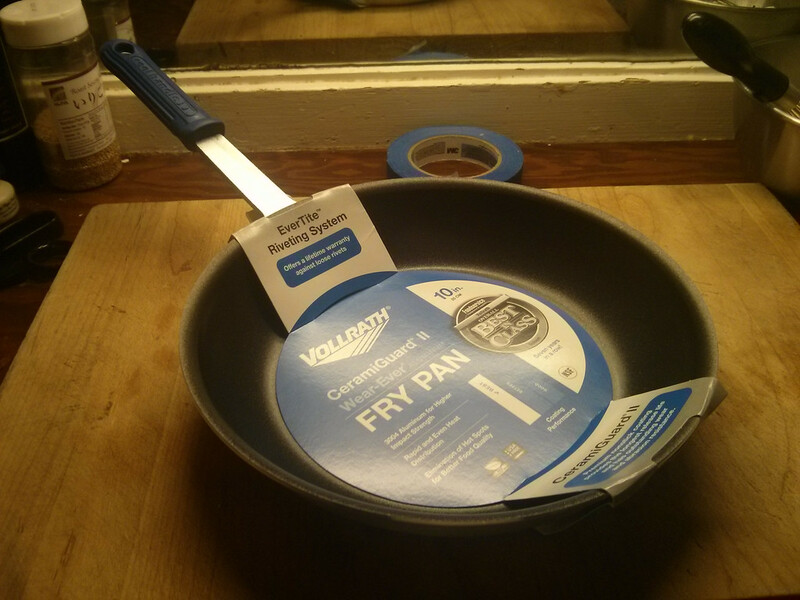 Since we didn't buy it from the huckster (mainly because we had a loooong walk back to the car), I had to go shopping and was immediately confused by the variety of designs and nonstick coatings offered by Vollrath. Fortunately, I found this sales video which explained it for me. TLDR: you want the CeramiGuard II, which is their best coating, since it has ground-up ceramic material in the Teflon to guard against scraping by utensils. That's what "ceramic coating" means; there's no real non-stick ceramic substance, it's just Teflon with ceramic protection. So I bought a 10" and decided to put it through its paces. First things first: the pan is certified by the NSF, which means it can be used in a real restaurant kitchen, for what that's worth. Made in the USA, anyway, which counts for more. The other thing I'll say is that this is somewhat roomier and significantly heavier than my old 10" pan. I have no idea why it says 7in on the bottom of the pan, since this is definitely a 10" pan. 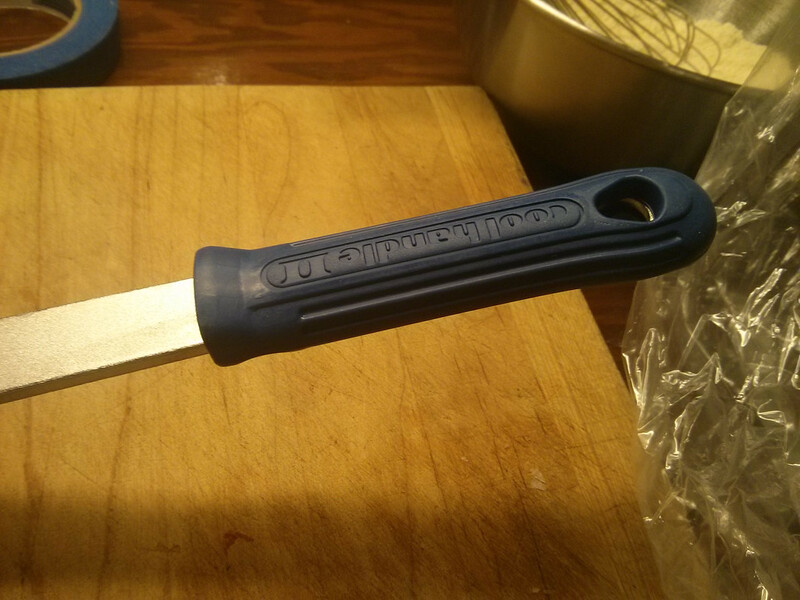 The "Cool Handle II" is a pretty solid bar of cast aluminum with a grip of silicone, good up to 450F in the oven. And you don't want to put nonstick in an oven over 450F anyway, since that destroys the Teflon. The handle is solid and easy to grip — and does, in fact, stay cool — and hangs easily on my potrack. However, it's also the only negative for this pan: the handle is long and heavy enough to make the pan a bit "tippy" when empty. That could be more of a problem with the 8" pan. So what to make to run a nonstick pan through its paces? An omlette of course! 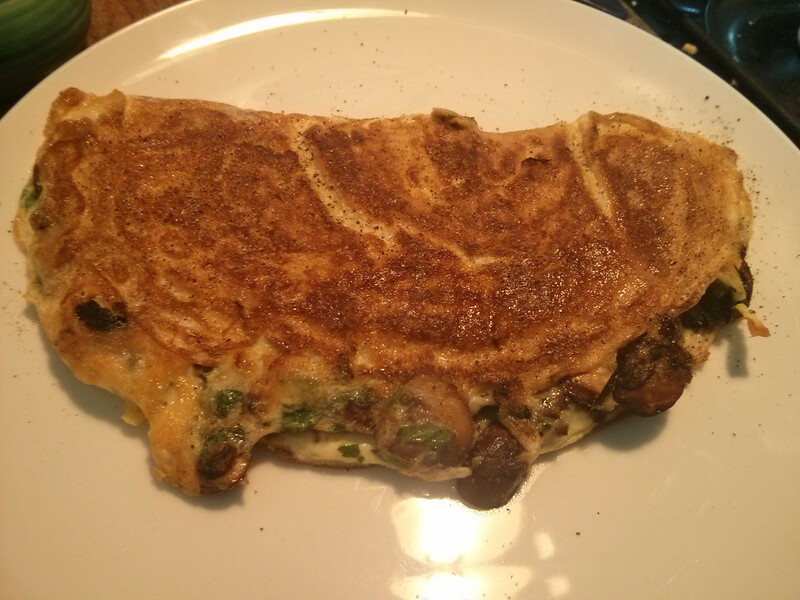 I thought about doing a rolled omlette, but the 10" was a bit small for that so I decided to make an American half-moon omlette with mushrooms. First, I fried up the mushrooms and the shallots. With the brand-new nonstick surface the mushrooms were like skaters on a newly laid ice rink, sliding around at the sightest touch. This is the pan after the mushrooms. No washing necessary for the eggs. The eggs sizzled right up. It was interesting poking holes to let the raw egg through to the bottom; the eggs slid around and I ended up using a 2nd spatula to hold them in place. Now the filling: fried mushrooms and shallots, Emmenthaler cheese, and parsley. 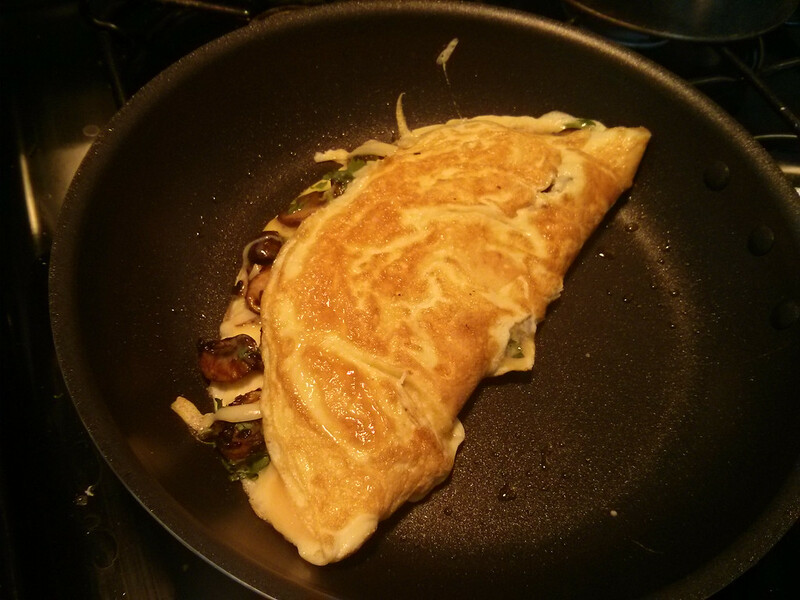 I like to put in the filling while there's still some gooey egg on top, so that the entire omlette fuses together. 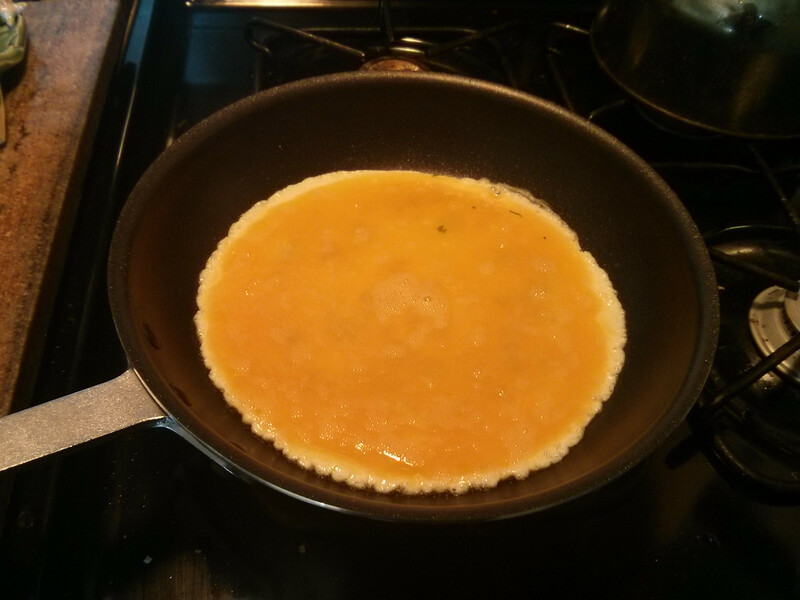 Fold over and cook for a bit to set the eggs and fuse with the filling. Then flip to make sure the top is nice and brown. Look at that nice, even browning on the eggs; you can see that the cast aluminum of the pan is conducting heat well. I'd been a bit worried about the lack of a "disk" on the bottom of the pan, but clearly it's not needed. 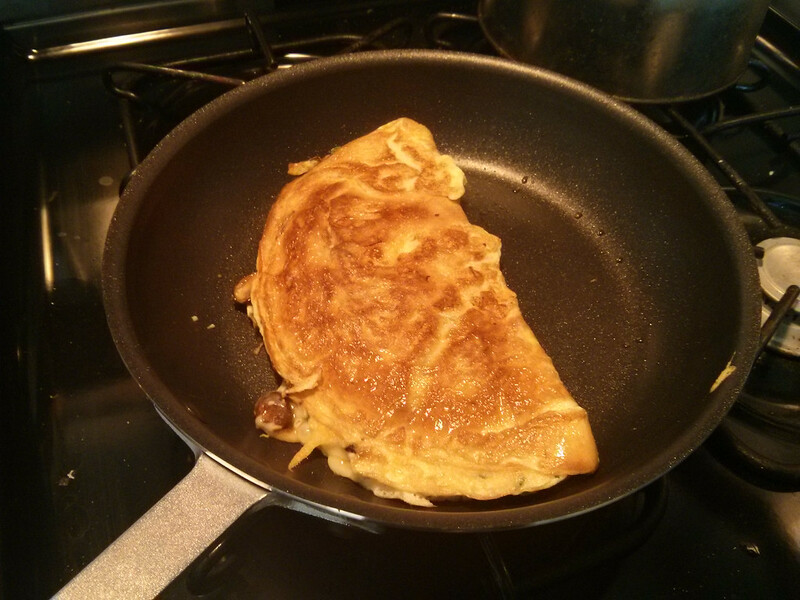 Now, will the omlette slide out of the pan without any help from a spatula? Indeed it will. 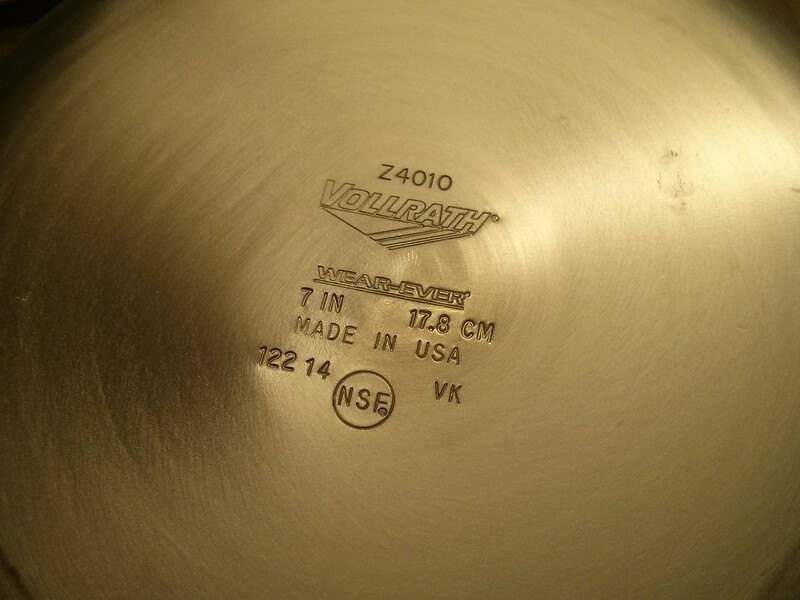 So, Vollrath nonstick pans: highly recommended. 2 oz Emmenthaler or similar Swiss cheese, grated. Beat the eggs with the 1/4 tsp salt. Let sit. Drizzle your nonstick pan with a couple teaspoons of olive oil. Turn on medium-high heat and sprinkle the minced shallot into the pan. 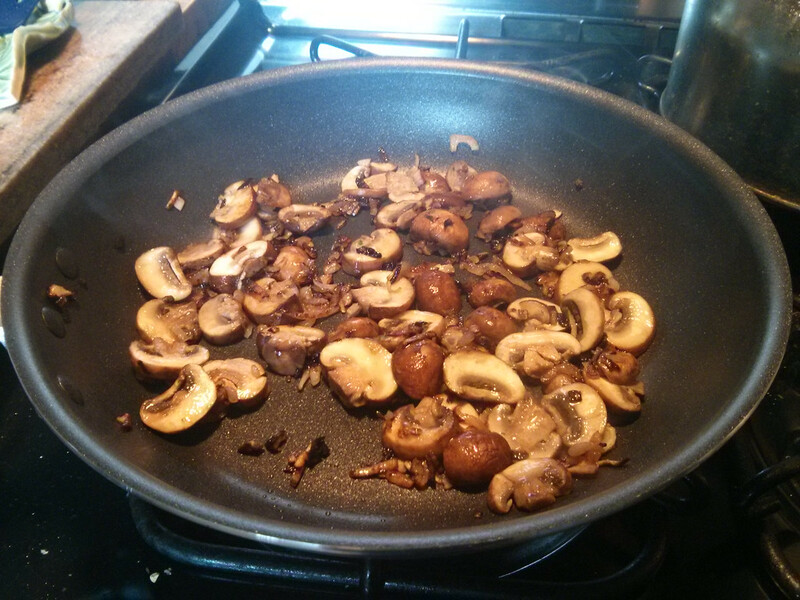 When the shallots are sizzling, add the sliced mushrooms. Fry until mushrooms are soft and starting to brown, around 7 minutes. Scrape into a bowl and wipe the pan clean. Drizzle some more olive oil into the pan and turn up high heat. When the pan is very hot (the olive oil will run like water), dump in the eggs. Cook, folding edges and scraping holes to get most of the liquid egg set. 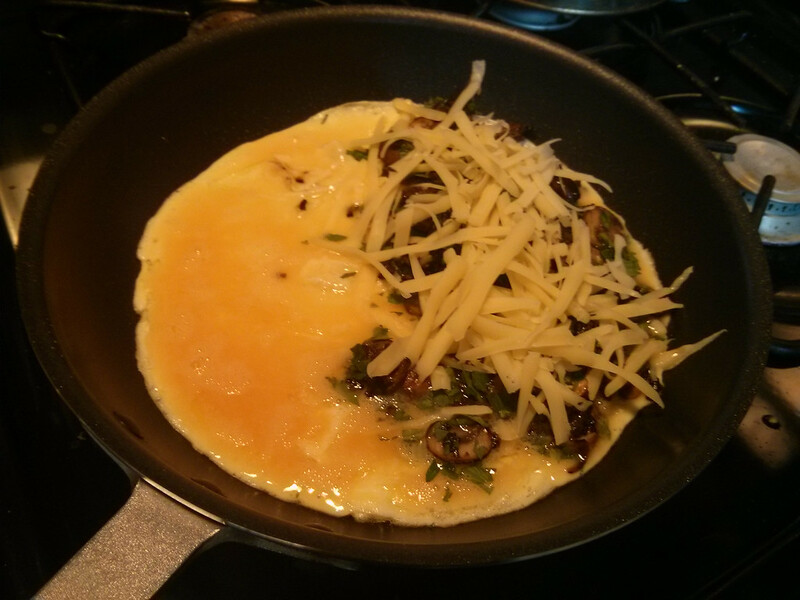 When the eggs are just a bit gooey on top, cover half the egg round with the fillings, including the mushrooms, cheese, and parsley. Fold the other half over the top (this takes practice and a wide, thin spatula). Lower heat to medium, and cook for another 2 minutes. Then flip the omlette and cook on its other side for another 2 minutes. Slide out of the pan, with whichever side is the most presentable on top. Serves 1 or 2 people, depending on how hungry they are and how many other things there are for breakfast.